We’ve all been hearing about the Cronut craze (croissant + donut = Cronut) but Japan’s done it again by taking two of the internet’s obsessions and packaging into something we can call the cat donut! Inspired by the Japanese series One Nya Hup, the show features cats who are shaped like donuts and get into some crazy antics. How will any cat lover pass up this fancy feline treat?! 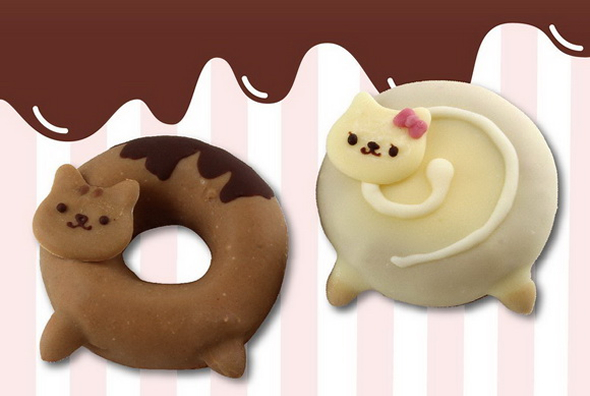 Note: Donuts are only available in Japan for a limited time but check out how you can make your own cat and even dog donuts at home!